The Albany office of Dentons is home to one of New York's leading government affairs and administrative law practices, representing clients before federal and state courts and state agencies for more than 25 years. We draw on the rich and varied experience of our lawyers and public policy professionals. The effectiveness of our Albany lawyers and other professionals is enhanced by their broad experience within government at the state and local levels in New York. 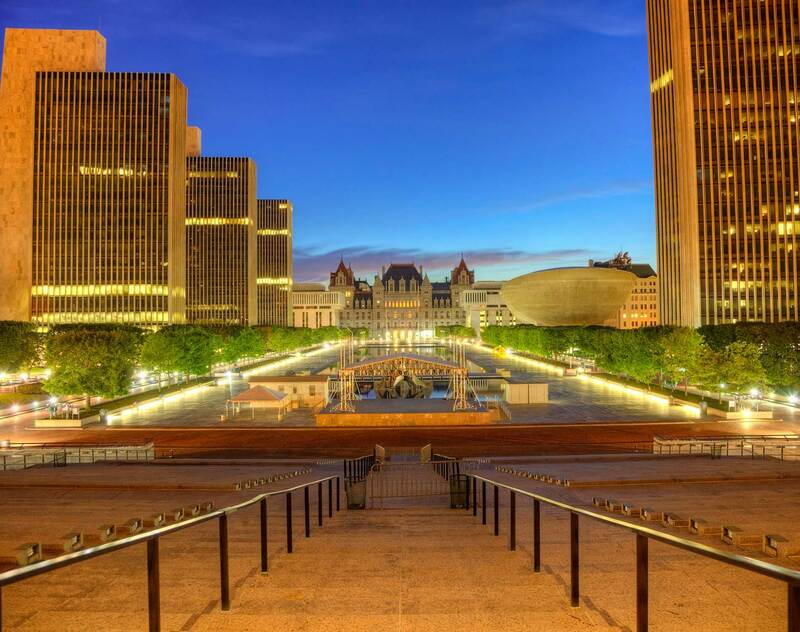 Our Albany office includes former elected officials; legal counsel to various governors; top county officials; staffers in the Office of the Attorney General, the Senate, the Assembly and the executive branch; and legal counsel to municipalities and government agencies and entities. This broad spectrum of experience allows Dentons' Albany team to assist you in effectively navigating the public policy and regulatory world of state, city and local government. We understand how to manage Albany’s political environment and the state’s regulatory framework for your benefit. We continually monitor the legislative and regulatory activities of state government to keep you abreast of all developments and work to ensure that your position on any issue is recognized and understood by the relevant stakeholders. Overlooked by many amid a flurry of press releases issued by the Cuomo administration in conjunction with the Governor's "State of the State" speaking tour earlier this year was an announcement that the Governor had signed Executive Order No. 162, "Ensuring Pay Equity by State Contractors." The Order's new reporting requirements will have significant implications for the vast array of industries that contract with state—and its effective date—June 1, 2017—is fast approaching. We provide a summary of the Order's new reporting requirements. Continuing the momentum Dentons has created with the introduction of NextLaw Labs, its innovation platform, the combination with 大成, and the addition of new talent worldwide, the Firm today announced that the merger between Dentons US and McKenna Long & Aldridge, creating the new Dentons US LLP, is now effective.